I AM an observer of the human condition, they say. If one observes humans and their interactions with one another, one inevitably has to observe the animal condition, too, as the interaction of both parties is closely interlaced. I’ll willingly confess to spending way too much time on social media. I check my various accounts several times per day. Social media is, without a doubt, a new form of addiction and just like any addict, I object to it and then do it anyway. Of course, the reasons for which I loathe this inclination are many. On top of the list, however, is the fact that I compel myself to session upon session of scrolling through pictures of the ugly, angry and distorted faces of scheming, devious politicians or their minions on a daily basis. A couple years ago, as my and everybody else’s accounts were swamped with the smirk of a particularly unpleasant specimen, who shouldn’t even have any impact on my life at all, I decided to create a counter movement. For every one of his appearances on my screen, I posted the photo of a cute cat or dog. An attempt at levelling the playing field, of sorts. I have run out of steam long ago, I’ll admit. But traces of my subtle revolt have remained on my accounts nonetheless. As much as I am still confronted with red-faced proclamations of doubtful righteousness from all over the globe, a steady flow of animal activism is omnipresent on my walls. For the purpose of this article, I should like to concentrate on the plight of local animals. Cats, it seems, are faring better than dogs. As they have remained largely feral, they might be considered domesticated to a certain point, but cats are able to live a fairly decent life even without our help, should we decide to deny them our daily attention. Dogs, on the other hand, have been dealt a worse hand. Having been domesticated by man over several millennia, they are incapable of prospering without our support. It seems to me that here in Malaysia, canines are not considered man’s best friend as much as they consider us to be theirs. They seek out our proximity, our approval and our care without a sound grasp of cultural factors that may well act in their disfavour. Animal rescue groups, shelters and concerned individuals post daily pleas for help as well as updates on abandoned, injured and mistreated dogs. A sight for sore eyes and sore hearts, and a far cry from the initial cute furry pictures that I once shared. I do understand that not everybody likes dogs. There’s nothing wrong with that. I, for instance, don’t like horses, not even ponies. I find them to be rather scary, unpredictable and smelly. The day I come across an emaciated, bleeding or otherwise neglected member of the equine species however, I can assure you that I will summon the help of capable people who will help the animal in question. Unfortunately, dogs that have run out of luck with their owners often aren’t met with that same compassion on our local streets. Don’t we all agree that our strength of character is measured by what we do for those who can’t do anything for us? Isn’t our humanity determined by our ability to feel compassion for even those we do not like or appreciate? 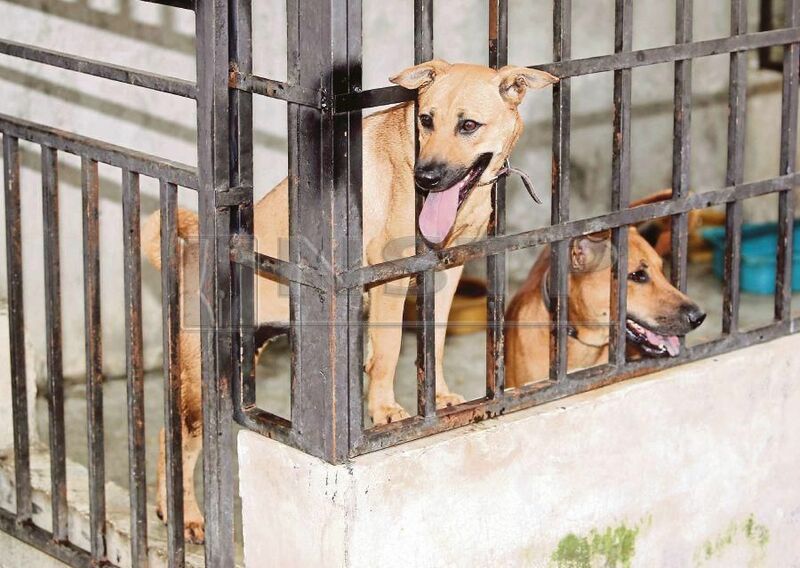 The Malaysian canine population deserves our empathy, even if we don’t choose to share our homes with them. As much as I proudly declare to live in a country populated by caring, thoughtful and kind people, the plight of abandoned dogs in our streets remains a dark spot on my adopted homeland’s reputation. We can and we should do better, much better.